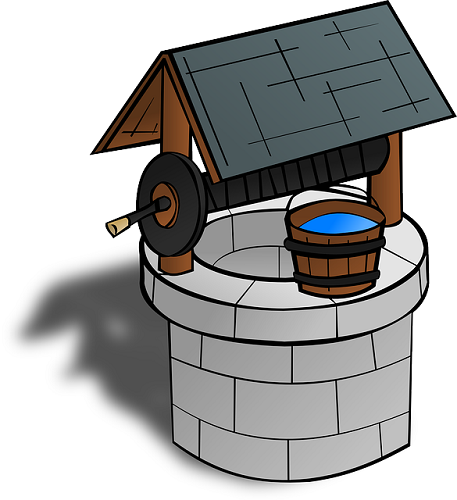 Do you have a private water well, borehole or spring on your property? If so, you will be aware that while the water is technically free, water wells can cost a lot of maintain. You must invest in regular water testing, well cleaning, and filter replacement, besides regularly inspecting the condition of the pumps and water storage tanks. Here are five well maintenance tips to help you save in the long run. How many are you guilty of ignoring? You should keep a copy of your well log handy at all times. The contractor who built the well will have filed the original log with your state. The well log contains all the relevant information about the particulars of your well such as the materials from which is was constructed, its depth and even information about the type of grout used. In maintenance terms, the biggest source of degradation comes from surface water. This can cause the grade around the well to deteriorate over time and potentially cause cracks and leaks that are expensive to repair. To save in the long run, you should regularly check the grade around the well to ensure that it is diverting surface water away from the well. Once you have checked the grade, you should check the upper terminal of the well casing. This should be capped with a commercial, sanitary well seal. Old, cracked or broken well seals will allow surface water to enter your well. This contaminates the water, leading to costly purification and chlorination. Broken seals also contribute to the sides of the well deteriorating. You must periodically check and replace the well seal to ensure that it is in good condition. Replace the seal as soon as it shows signs of aging. This is a cheap maintenance tip that will save you a lot of money in the long run. While the well seal may be in a good condition, airborne contamination can still occur. This type of contamination is expensive to fix as it may lead to your well requiring cleaning. A prime source of contamination can be the points where electrical cables pass through the seals. The gaps around these cables should be caulked. You must periodically inspect this caulking. It can easily crack, chip or come loose as you open and close the well seal. Consider re-caulking these seals if you notice that they have degraded over time. To prevent contamination from both airborne pollutants and surface water, you should ensure that the vents in your well seal are turned down and screened. This is a cheap maintenance tip that will save you a huge amount in the long run. Although chlorinating the water is a hassle, it is cheap insurance against future problems. Make this a priority every time you remove the well seal. Chlorinating the water will help prevent issues with the sides of the well and the filtration system. So, there you go – five easy ways to maintain your well that will save you money in the long run. For more, contact your local well contractor or visit the website of the National Ground Water Association for more tips. Leave us a comment below about your favorite well maintenance tips!